Please check back soon or sign up for Fiona's newsletter for updates. Thank you! De Vos recorded a pop single—When Will I See You Again—her debut work as a singer-songwriter. Based on an out-of-this-world mystical experience, its accompanying music video weaves together a touching story, set alternatingly between medieval and modern times. The song was inspired by a story very close to De Vos' heart, about a love that spans centuries and transcends time itself. 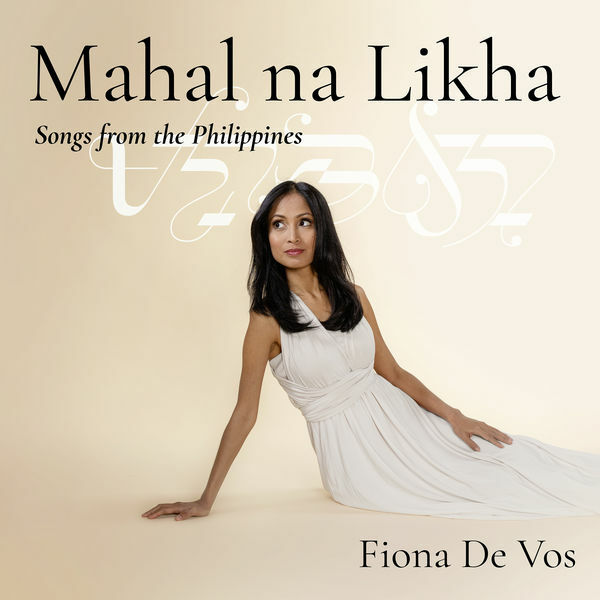 De Vos also recorded the album Mahal na Likha (Beloved Creation): Songs from the Philippines, featuring a handpicked selection of the most beautiful Philippine kundiman, classical art songs and folk songs. Mahal na Likha includes some of the most significant kundiman—Filipino love songs with profound, heartfelt music and texts, and a special characteristic form. Never before recorded to such a high standard for international release, the album was created with the intention of helping to preserve and share this beautiful, timeless music. A classically-trained soprano, Fiona De Vos has performed the role of Adele in Strauss' opera Die Fledermaus in Belgium, given a solo voice recital at the Cultural Center of the Philippines, and performed in concerts and events in Switzerland, Germany, Taiwan and Japan, among others. De Vos received voice lessons at the Belgian conservatory Lemmensinstituut and at the Philippine High School for the Arts, where she graduated as valedictorian. She also studied Broadcast Communication at the University of the Philippines Diliman, Information Media at the Ritsumeikan Asia Pacific University in Oita, Japan, and as an exchange student at the Ritsumeikan High School in Kyoto, Japan. She was also admitted to the Philippine Science High School. De Vos is grateful for all the scholarships and gifts, which enabled her to study and live in such richly diverse cultures. Fiona De Vos lives in Vienna, Austria, where she has been working with a world-class team—German composer, producer and former University of Vienna musicology professor Michael Hecht, Filipino pianist Aries Caces, Austrian guitarist Armin Egger, and Austrian video producer and ethnomusicologist Lisa Punz, among others. Fiona De Vos is currently in the studio working on new songs. Join our community! Get the latest updates on Fiona De Vos' music releases, concerts, other performances and other news. Thank you for visiting fionadevos.net! To better understand how visitors use this website and for marketing purposes, e.g. to be able to serve ads, this website uses Google Analytics (with IP anonymization) and Facebook Pixel. These services save cookies in the visitor's browser. You may opt out of these services by installing a tracker-blocker plugin or disabling third-party cookies in your browser, and then clearing existing cookies.